Joie Lee is an actress, screenwriter, producer and director. 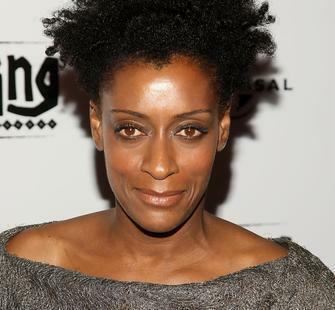 Her acting credits include such films as Mo’ Better Blues and Do the Right Thing, directed by her brother Spike Lee. She has also been featured in Coffee and Cigarettes, directed by Jim Jarmusch. Joie made her Broadway debut in Mule Bone, written by Zora Neale Hurston and Langston Hughes. She also appeared off-Broadway in Jessica Goldberg’s The Hologram Theory. Lee is the original screenwriter of the feature film, Crooklyn, loosely based on her childhood growing up in 1970’s Brooklyn. Recent writing credits include two episodes of Netflix’s She’s Gotta Have It, where she served as Staff Writer for Season l and Story Editor for Season 2. Recent acting credits include a recurring role on Netflix’s She’s Gotta Have It as well as a guest appearance on the upcoming season (5) of Broad City. Lee has written and directed short films, including Subway Vignettes, pt. l & ll and Snapped. Her other work as a screenwriter includes Positive, a feature length screenplay, and Jesus Children of America, a UNICEF-sponsored short. Producing credits include Crooklyn, Jesus Children of America, and Nowhere Fast. Lee attended Sarah Lawrence College. She has taught acting, directing and writing at the School of Visual Arts and theater at St. Ann’s School in Brooklyn, NY and has been a Teaching Artist for Franklin Furnace Archives. She has received fellowships from the New York Foundation of the Arts, Screenwriting (2008); NY Urban Arts Initiative, Screenwriting (2008); and Yaddo as an Artist-in-Residence (December 2006).